According to the latest Lowy Institute Poll, a majority (54%) of Australians say the ‘total number of migrants coming to Australia each year’ is too high. This represents a 14-point rise from 2017, underpinning the 'sharp spike in anti-immigration sentiment'. For the last 14 years, the Lowy Institute has been conducting an annual poll to gauge popular Australian sentiment on matters pertaining to foreign policy, immigration and related matters. But for the very first time in 2018, the annual Lowy Institute polling shows that more than 50% Australians now prefer a lower annual immigration intake, expressing a clear concern that the current level is too high. Data from the Department of Home Affairs confirms the rate of immigration has remained capped at 190,000 per annum for the past four years - meaning that there hasn't been any increase in the number of migrant arrivals recently. SBS Punjabi recently reported that Australia's migration intake in the current financial year could fall by upto 25,000 due to a reduction in skilled and sponsored visas, with concern also mounting of a 'quiet cut' to immigration. Yet compared to last year, 54 percent Australians feel that the current migrant intake is too high. A further 30 percent said the rate was "about right", whilst 14 percent said it was "too low". These results represent a significant rise in opposition to the existing migration rate – up 14 points since last year, and up 17 points since the question was first asked in 2014. Australians also appear to be questioning the impact of immigration on their national identity. The same-sized majority of 54% says ‘Australia’s openness to people from all over the world is essential to who we are as a nation’. However, 41% say ‘if Australia is too open to people from all over the world, we risk losing our identity as a nation’. The Lowy Institute report states, "Australians have been generally positive about the benefits of immigration in the past. In 2016, almost three-quarters of Australians agreed that ‘overall, immigration has a positive impact on the economy’, and that ‘accepting immigrants from many different countries makes Australia stronger’." The report adds, "In 2018, attitudes appear to have shifted. This shift may reflect the rhetoric of politicians such as former prime minister Tony Abbott, who advocated in a speech in February 2018 (just before fieldwork for the Poll commenced) for cuts to the immigration rate to ease pressure on infrastructure, house prices, and wages." Other politicians like One Nation Senator Pauline Hanson and former Immigration Minister Bob Carr have also weighed in on the debate, wanting the current immigration level to be halved. The Lowy Institute poll also surveyed the popular sentiment about how Australians feel about the US and President Donald Trump, about China's growing influence and the sentiment about President Xi, as well as the general feeling about climate change, coal vs renewables and terrorism. The latest Lowy Institute poll results can be read here. The government's message to migrants is they should learn English because it will dramatically improve their job prospects. During the first eight months of this year, 54,419 citizenship applications were approved compared to 139,285 in the year 2016-17. According to reports, Australia's migration intake could fall by up to 25,000 due to a reduction in skilled and sponsored visas, with concern also mounting of a 'quiet cut' to immigration. Migration agents feel the move will slam the door on older visa applicants who they say will be severely disadvantaged. As of April 30 this year, there were over 200,000 citizenship applications being processed by the Department of Home Affairs, and perhaps a comparable number of permanent residency applications. 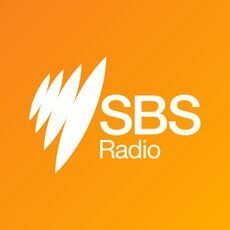 When asked by SBS Punjabi if he would be future Prime Minister again, Tony Abbott said, "let's see what the future holds." Former Prime Minister Tony Abbott says Australia's immigration level is at an "unprecedented high", and must be "scaled back". Mr Abbott says that this "would not be anti-immigration", instead, it would be a "pro-immigrant" move.